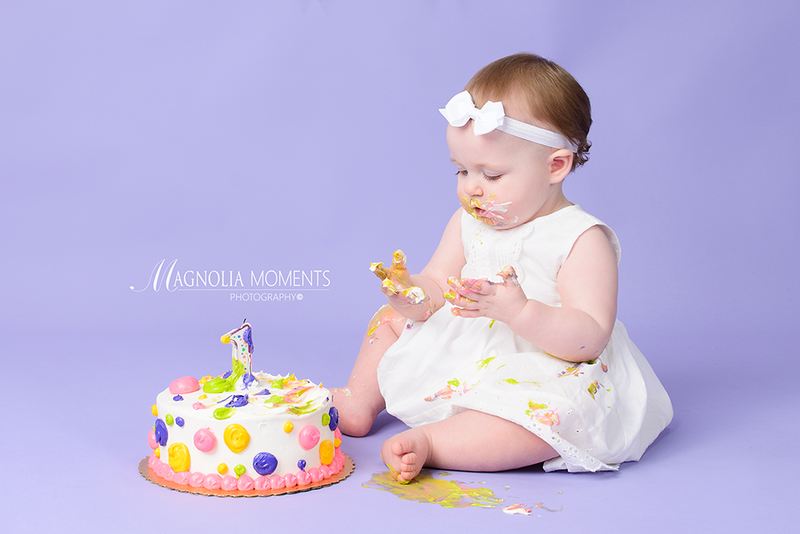 This adorable birthday girl stopped by our Collegeville, PA newborn and child photography studio for her 1st year portraits and Cake Smash! 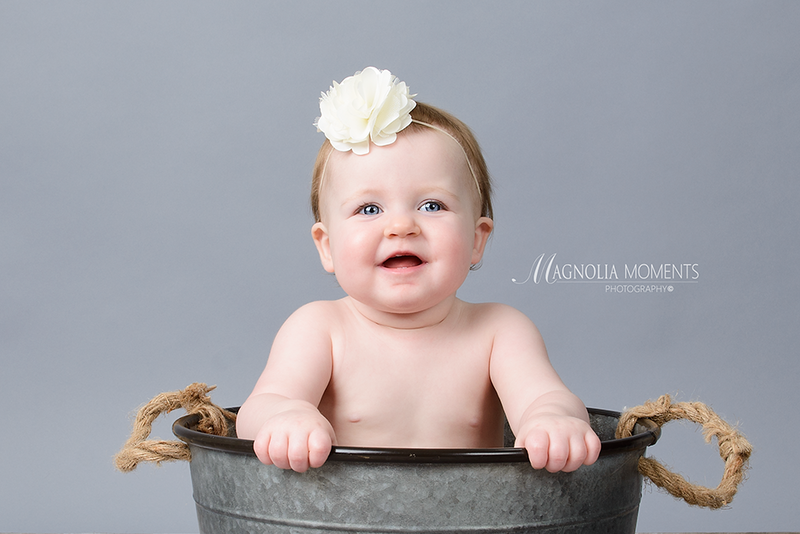 So many sweet smiles. She has changed so much in the last year. 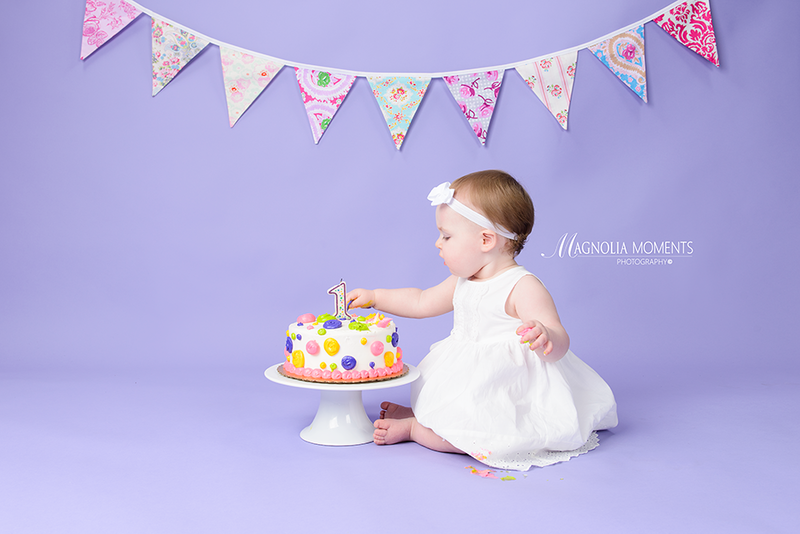 I love watching my little clients grow up and you can check out her newborn session here. 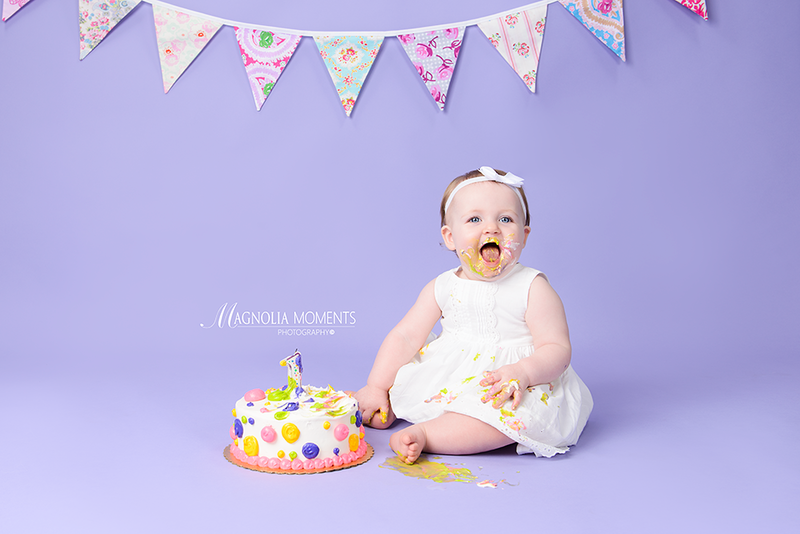 And then…we brought out the CAKE. Oh, my! 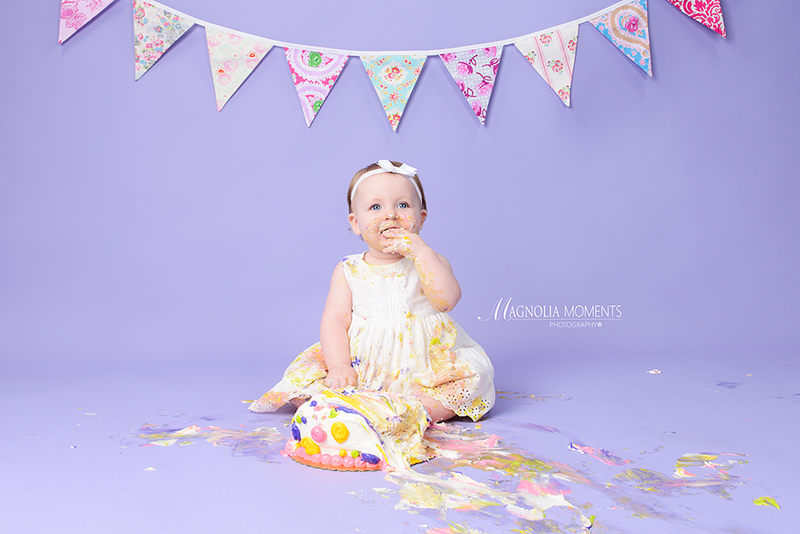 She loved it and was just as adorable covered in cake. It was so nice to see you again, F Family. 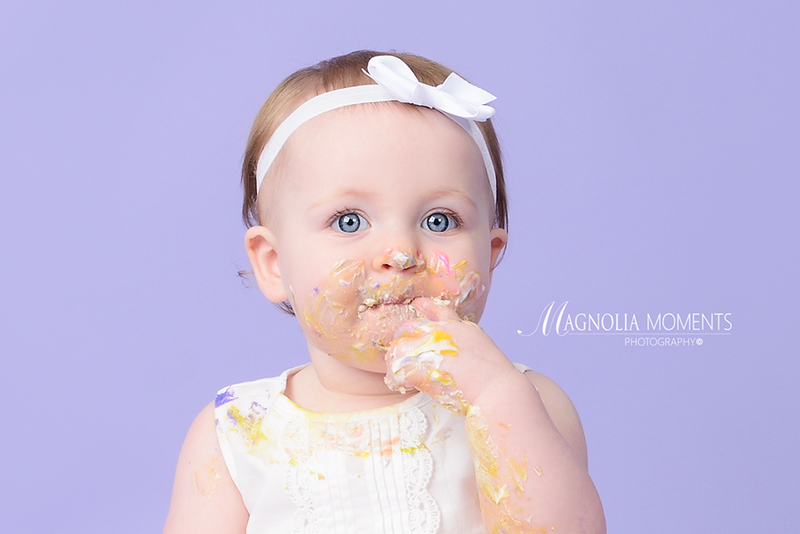 Thank you for again choosing Magnolia Moments Photography as your East Norriton PA child photographer. 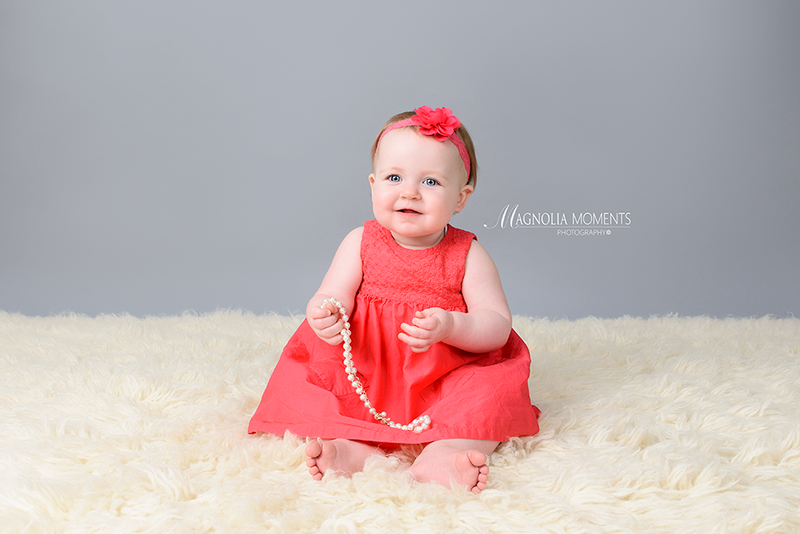 I can’t believe how much she has grown.